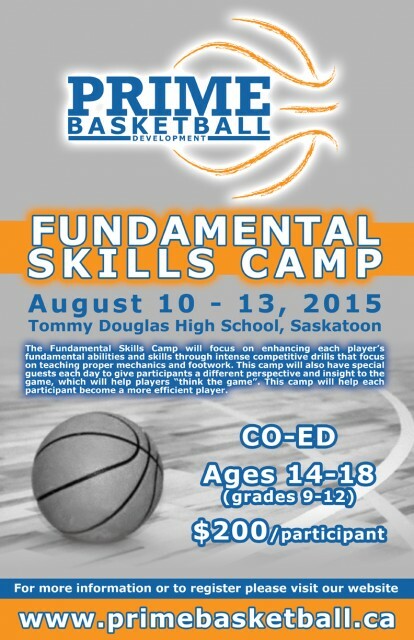 Updated Tuesday July 28, 2015 by Saskatoon Minor Basketball. Looking for an extra basketball skills camp before trying out for High School basketball in the fall? Michael Linklater is putting on a camp for basketball development for high school basketball players. He is a serious veteran basketball player with elite basketball skills. His camp would be a top notch camp and he has alot of skills to be shared! Michael has a very experienced staff and this would be an amazing opportunity. If you are interested in this camp for more information or to register please go to www.primebasketball.ca.